Local friendly family run business. Making moving as simple as possible! Welcome to Dukes removals and storage Oxford. Dukes offer a professional Oxford removals and storage service and cover all of Oxfordshire.With years of experience in the removals and storage industry,we can help you organise and plan your move or storage needs in Oxfordshire. Our Oxford removals company are experienced in both commercial and residential removals and relocation.We like to cover every aspect of your Oxford removals or storage needs.Like most removals companies in Oxford we offer a free viewing service for all Oxford removals and storage.Our removals consultant will meet with you at a convenient time. During such time, we will discuss the whole process with you. Making you aware of anything you need to know or do before your removals. As a result, we can guarantee that on the day, all will be well and will go smoothly. In addition, with all Oxford removals, we will make provisions for parking with the Council if possible. Dukes removals Oxford always advise that a viewing is essential when you are moving.We can give you a rough estimate but always like to meet and view each potential job. Taking every provision to keep your items clean and undamaged is paramount to us.We have a range of packing materials for sale and deliver if required.Serving all of Oxfordshire’s domestic house removals, commercial moves and office relocation. Each quote we give is specific to the customer’s requests. Quotes can be obtained by filling out our online quotation form or by giving us a call. Dukes Removals and storage Oxford takes pride in providing a high-quality affordable service. Our staff are fully trained in packing and we supply all packing materials. Whether you need a full house packing service or just want us to pack fragile and glass objects, we will be happy to help. Our Oxford removals staff are friendly, strong and experienced in packing, dismantling and moving of furniture. We will dismantle wardrobes, beds, and any flat pack furniture and assemble them again if required. We supply all house moving materials, including furniture/mattress covers, to keep them dry and clean during transit or whilst in storage. Our company has years of experience in residential removals and storage so we could advise you on all you need to know about the process. Commercial removal and relocation services. We provide a free viewing to assess your removals and storage needs. 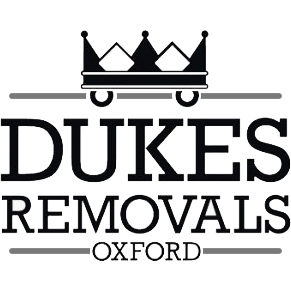 To discuss any Oxford removals,storage or clearances please call Dukes Removals Oxford on 01865 803352.